There’s no doubt that the smartphone has had a huge impact on how we live our lives. No longer do we miss emails because we’re not at our desk or get lost because we can’t find an address. With the apps on our Android devices, we can do pretty much anything, and that includes making money. Yes, you heard that right— you can make money on your phone. You see, these days making money online isn’t just a dream, it’s a distinct possibility. And so, with that in mind, we thought we’d take a quick look at a few ways that you can boost your income with a little hard work and a few clever apps. 1. First up, we’re going to start with something really simple: Cash for Apps. It’s not hard to figure out what’s going on here, but we’ll explain it anyway. With this nifty little app, you get paid to download apps to your phone. Once you get your points credited to your account, you can then delete the app and exchange your points for cash in the form of gift cards for use on sites such like eBay or Amazon. 300 points gets you USD1.00, so you won’t make a massive income from this app, but it could be enough to pay for some small online purchases. There are many other apps (such as CashPirate and AppKarma) that offer similar opportunities for making some extra cash by downloading apps or completing offers and surveys. With most of these apps, you can expect to make USD15-50 per month, which isn’t too bad. But it won’t buy you a new car, that’s for sure. 2. If your phone has a decent camera (and it really should), then an app like FOAP allows you to upload your images and then sell them through the app. You sell images for USD$10, but half of that goes to the platform. There are tons of users on this app, and it has a solid reputation for paying on time. However, there are quite a few pro photographers that use the app. To stand out from the crowd, try to take unique photos of unusual objects/scenarios. Standard sunset shots are everywhere, but a photo of your dog enjoying the sunset could be quite unique. 3. Now, if you’d rather have some fun while making money online, then it’s time to hit the games. And if you want a chance to win big, then it has to be an online casino game such as poker. But as you know, poker is not the kind of game you pick up as you go along. If you’re serious about making money playing on your Android device, then you’d best get a good grasp of the rules and learn and memorize a few strategies. By adopting a low-stakes strategy whereby you aim for a series of small wins, you could make a nice chunk of change to add to your savings. 4. Our last option is something you already know about but may have never actually considered as a money-making venture. We’re talking about getting rid of all your old and unwanted items on eBay or similar buyer/seller apps. Don’t have anything to sell? That’s fine. Set aside a small amount of money and start bidding for cheap items in auctions or visiting your local market/garage sales to see if you can find any hidden gems. Once you’ve found a few items, list them on your platform of choice and make sure to mark them up so that you’ll make a nice profit. If you dedicate yourself to this particular option, then there’s a very good chance that you can make some good money without too much effort. 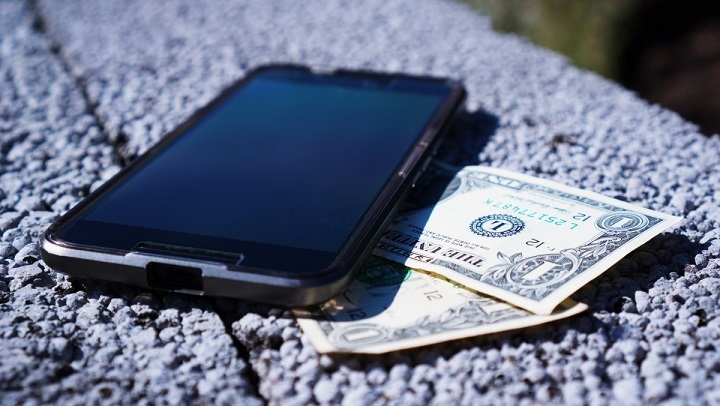 Whether it’s selling your old shoes on eBay, filling out surveys, or playing poker online, there are tons of ways to make money using your Android smartphone. The only question is: What are you waiting for? Just get on the PlayStore and start making money on your Android device. Do you have any other ideas for topping up your income? Let us know about them in the comments below.